Building successful customer relationships is a leading initiative of every successful business. Honest and persistent customer relationships will not only add to your customer service, but it will create a psychological and emotional bond with customers that will keep them coming again and again. Here are 10 top strategies to build lasting customer relationships. [note note_color=”#efefef”][dropcap style=”simple”]1[/dropcap] Speak Their Language. Successful companies know that they must speak the same language as their customers, even if the language is created by the company and then shared. Language also becomes how your customers share information with each other. Starbucks, for example, communicates with its customers via words like “Tall” and “Grande.” This creates a special language associated with the company and communicates the desires of the customer to employees. [/note] [note note_color=”#efefef”][dropcap style=”simple”]2[/dropcap] Segment the Customer List. There are many initiatives, programs, and applications that companies use to segment their customers. Whichever you choose, be sure to invest in personalizing your communications with customers through email, text, and voice messaging. [/note] [note note_color=”#efefef”][dropcap style=”simple”]3[/dropcap] Increase Customer Interaction. Implement customer interaction initiatives on site and virtually. Encourage associates to learn customer names, acknowledge their presence and always look for better ways to serve them. If your business is online, contact customers annually, and use techniques like promotions, and follow up questions to get them to interact with you. [/note] [note note_color=”#efefef”][dropcap style=”simple”]4[/dropcap] Educate Customers. Make sure to share all of your programs and special services with new customers. Tell them why they should form customer relationships with you over your competitor. [/note] [note note_color=”#efefef”][dropcap style=”simple”]5[/dropcap] Build Alliances with Other Businesses. 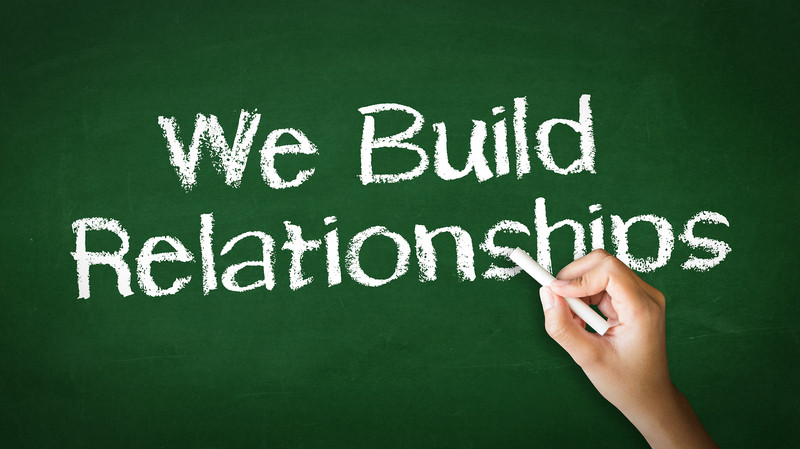 Stay tuned for part two of Top Ten Ways to Build Customer Relationships.